Dog dental chews are a great way to supplement your dog’s dental care, and you will find that your dog will be quite cooperative and enthusiastic. Your dog will think that you are treating her to a special snack, but dental dog treats also help keep teeth clean. When you pay attention to your dog’s dental health while he’s still young, you are actually giving him the opportunity to live a longer, happier, and healthier life. That’s because unhealthy teeth and gums are linked to disease and conditions like heart disease. 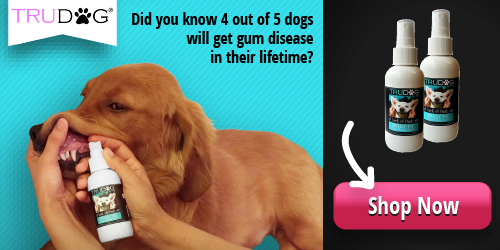 So give your dog the proper dental care that he deserves. With a look that irresistible, a healthy dog dental chew is in order. Dog dental chews help remove plaque and they can prevent dog bad breath. Some have grooves which help clean debris that builds up between your dog’s teeth. And dental dog treats have another benefit. They help your dog relieve stress, when he chews on them. Best Bully Sticks – These Bully Sticks are made of 100% freeze dried raw beef, with no chemicals, preservatives or additives. They are hard, like bones, so they will last longer than a few minutes–keeping your dog chewing and strengthening his teeth and gums. Gluten-free and grain-free, Bully Sticks are guaranteed to please! Made from grass fed beef, raised in the U.S. or South America. GREENIES Weight Management Dental Chews – Greenies are a popular dental dog treat, and they are #1 dental chew recommended by veterinarians. They have healthy ingredients and include added vitamins and minerals. Greenies are designed to fight tartar buildup and plaque, freshen breath and maintain healthier teeth and gums. These dental chew are low cal, so you can give them to overweight or inactive dogs. Get Naked Super Antioxidant Dental Chew – Made from healthy fruits and vegetables that are naturally high in antioxidants. Wheat, corn, soy and gluten-free. Designed to clean teeth and freshen breath. These dental chew do not last a long time. They are quickly consumed, as opposed to being chewed for hours. Lo cal. Vital Essentials Turkey Necks – These turkey necks are 100% turkey meat, raw and freeze dried. They will not splinter and the entire chew is edible. There are no harmful grains, fillers or chemical additives. Made in the USA. Paragon Whimzees Toothbrush Star Dental Treat – Shaped like little toothbrushes, these dental dog treats are made from vegetables. They are tougher than some, and they do last for awhile. The treats are wheat-free and gluten-free and they are made from a potato base. They are high fiber and they are very digestible. Virbac C.E.T. Enzymatic Oral Hygiene Chews – These dog dental chews work in two ways. They help chip off any plaque physically, but they also help dissolve dental plaque and freshen your dog’s breath, using enzymes. Dog owners have found them to be effective, and the treats can help reduce the need for getting your dog’s teeth cleaned, using anesthesia. Rope toys are great chewing buddies for your dog as well. They have rope fibers which act as dental floss to clean the spaces between your dog’s teeth. You can also rub dog toothpaste on your dog’s rope toy to enhance the cleaning activity. It cannot be denied that good dog dental care is an essential part of grooming your dog and promoting his health. Brushing your dog’s teeth regularly is one way of preventing bacteria from attacking your dog’s teeth and gums. And if you start brushing your dog’s teeth when she is still a puppy, it will become part of her regular routine. This may take some patience, as most dogs don’t take naturally to having their teeth brushed. And many pet parents don’t feel comfortable putting their fingers into their dog’s mouth! You should also have your dog’s teeth checked by your veterinarian annually, or as needed, in case there are dental problems that you have not noticed. If your dog has any plaque on her teeth, I also recommend using Premium Pet Dental Spray. This is a totally natural product and is even safe for you to taste. Pet owners have found that this dental spray works, and some have been able to avoid having their pet’s teeth cleaned by the vet– an expensive (and dangerous) process. My dog Skipper didn’t do well with the spray product but she absolutely loves the Petzlife Oral Gel. And we have seen a great improvement in the amount of plaque on her teeth. If you want to try either of these dog teeth cleaning products, the company offers a 60 day guarantee, which gives you time to decide if they are working for your dog. 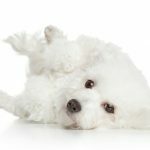 Your Bichon Frise will need regular dental checkups and he’ll probably need to have his teeth cleaned, because Bichons are susceptible to teeth and gum problems. When you neglect your dog’s dental health, it can lead to serious dental problems that will affect your dog’s general health and well being. 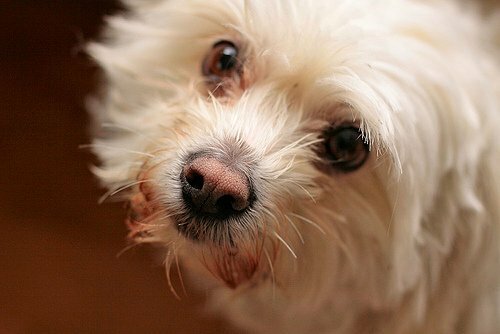 In addition, as your dog gets older, he can develop bad breath, gingivitis, gum or bone infection, tartar buildup and he can even lose his teeth. When you brush your dog’s teeth and give her dental treats, you are actually helping your dog become healthier and happier. It’s an easy way to prolong your dog’s life and help him be healthier!